TheLEADERThe office market in the last three months of 2018 is projected to be extremely booming with the entry of Thai Square- Grade A office building in Centre Business District (CBD) and three Grade B office buildings in the west area, according to CBRE. There will be more supplies in Hanoi office market in the last three months of 2018. In the third quarter of this year, Hanoi’s office market was recorded with no new supplies. However, the supply is expected to increase significantly by the end of 2018, a total of 96,000 square meters of the net leasable area is yet to be delivered from grade A and B. Due to limit supply in the market, the occupancy rate of the third quarter has improved considerably. According to CBRE, the rent has developed positively in both Grade A and Grade B markets, especially Grade A office buildings. Grade A rent continues to rise slightly by 0.3 per cent quarter over quarter and 4.2 per cent year over year, while Grade B rent witnessed a steady growth by 0.3 per cent quarter over quarter and year over year (excluding service charges and 10 per cent VAT). Overall, market net absorption was 16,400 square meters in the third quarter, the vacancy rate of Grade A and Grade B was 6.2 per cent and 11.4 per cent, respectively. Not surprisingly, demand mainly came from the key sectors such as manufacturing, insurance, banking, finance, IT and co-working space. This trend is following the common wave of other countries in the region. Google rents 5,000 square meters in Beijing, and Wework rents 16,500 square meters in Mumbai, etc. In Vietnam, according to CBRE, companies, and corporations have been altering their office model to co-working space for long-term leasing. What is so remarkable about co-working space is its high sense of community, convenience, and flexibility, the initial investment cost could be minimized, a serviced office fully equipped with furniture and facilities including common working space, pantry, Wifi, and printing area. For example, some pioneers in the new trend such as Teko, Innovatube, Framgia. This trend shall continue to promote the rapid development of co-working space around the world with high-quality rental properties that meet the basic needs of design, construction, and investment in technology management office. The office market in the last three months of 2018 is projected to be extremely booming with the entry of Thai Square- Grade A office building in Centre Business District (CBD) and three Grade B office buildings in the west area. 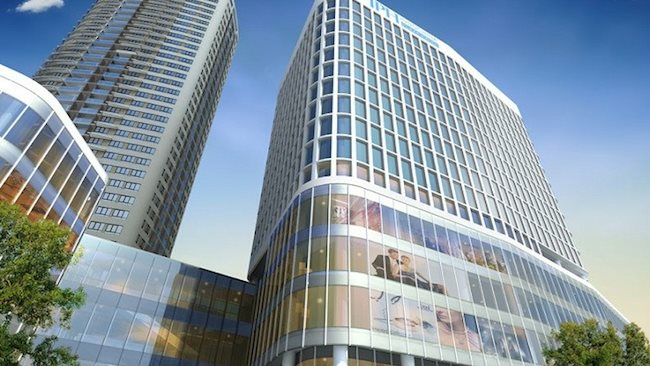 After nearly five years of lack of supply in the central area, Thai Square office building shall contribute to the market in CBD area by an additional 25,000 square meters of gloss floor area, creating a significant transformation and competition between buildings in CBD. Furthermore, this high-quality building is not only managed by a professional firm but also its location is considered as Hanoi Wall Street, thus the asking price of this project is expected to be higher compared to other general Grade A buildings in the same area. On the other hand, three Grade B buildings in Cau Giay district have a competitive rent shall be quickly filled due to the expansion and relocation of local and foreign enterprises. A typical example is a Detech II building with flexible, dynamic and practical design in the M & E system, although it has not yet officially opened, it has seen a positive high occupancy rate. In the coming years, CBRE forecasts the supply shall have more large-scale office projects that are technologically advanced to set new benchmarks for the Hanoi office market. As the result, the rent of Grade A office building shall be expected to have some impressive movement. For Grade B as supply continues to grow, rents are expected to remain steady.